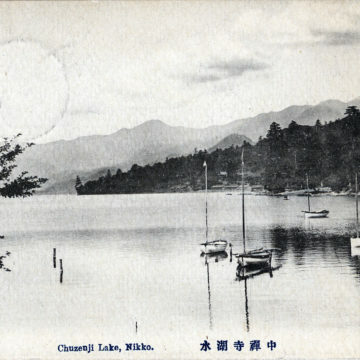 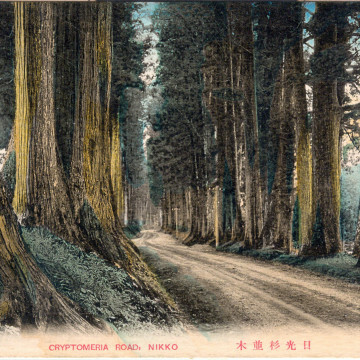 Cryptomeria Road, Nikko, c. 1910. 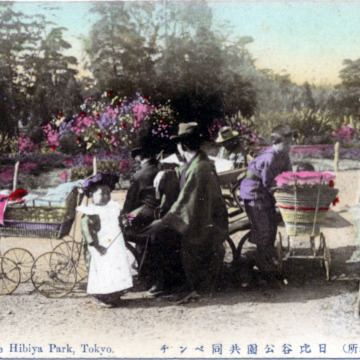 Azaleas in Hibiya Park, Tokyo, c. 1910. 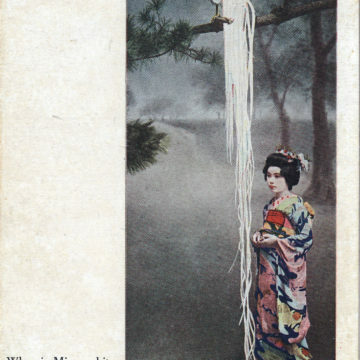 Onagadori (Long-tailed chicken), c. 1920. 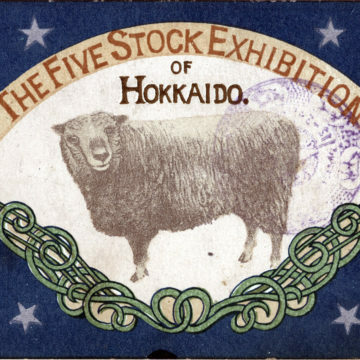 “The Five Stock Exhibition of Hokkaido,” c. 1910. 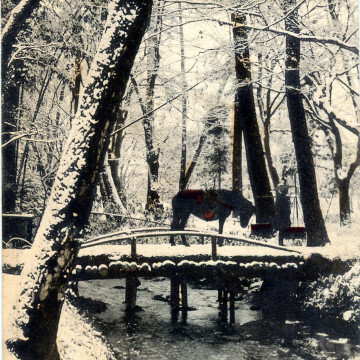 Winter View of Japan, c. 1910.